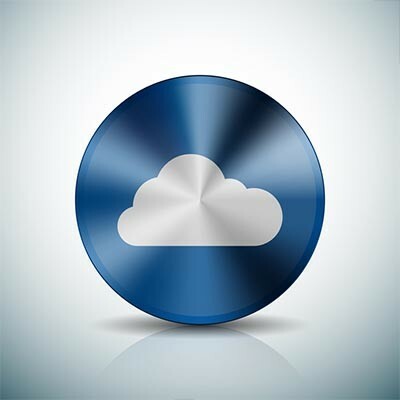 Most applications that your business could use will have a cloud option, but rather than purchasing the solution outright, you’re buying them “as a service.” What this means is that you get full access to the application, as well as hosting, access control, and security options for protecting the data, all without having to manage or maintain the systems; you just have to pay a monthly rate that can easily fit into any budget. The traditional method of software acquisition involved purchasing licenses on an annual basis, but this prevented organizations from purchasing software in the short term. By purchasing software as a service, businesses have more freedom to try new services. Additionally, software as a service is more mobile than traditional methods of accessing solutions, as they can be used by anyone on an Internet connection. This makes it particularly useful for project management and collaboration. You know what services your organization offers, so naturally, you want to select cloud-based services based on what your business needs. This could be anything from services that help you manage workflow, customer relations, marketing, productivity, and support. The biggest pain point to consider for all of these is the annual cost of such a service, and how it affects your budget. Are there other opportunities for your organization to improve operations? Are they lacking any tools? Any non-legacy software solution can be deployed through the cloud, so addressing your needs becomes easier in general if you know what to look for. You can centralize your management through certain Customer Relationship Management software, giving your organization more control over how it manages its customer relationships, including the management of tasks, interactions, and contacts. Professional Services Automation and Enterprise Resource Planning include CRM software to provide organizations with resources to run an entire business, from the procurement stage to distribution. Businesses that utilize the cloud for productivity have ways to provide scalable resources to end users in a way that gives greater control over software costs. Every organization needs a spreadsheet program, word processor, and presentation software. Cloud-hosted solutions give businesses greater control over these kinds of solutions. There might be other industry-specific software applications that are used exclusively by organizations like yours. If there isn’t a solution out there that does what you want it to, you can purchase server space and host the application on your own cloud platform--or, better yet, get a managed IT provider to handle this responsibility for you. Some organizations use the cloud for security to keep unwanted intruders and malware off of their network. Most businesses take advantage of local network protection, but subscribing to security services through the cloud gives you access to more dynamic solutions as a whole that are needed to guarantee systems remain safe and secure. The cloud is exceptionally helpful for communication solutions. Companies are making the jump to Internet-based phone systems, cloud-hosted email, and collaboration platforms that allow for work to get done across departments. Does your company need more cloud-based resources? We can help. 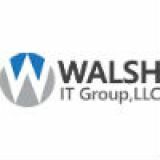 To learn more, reach out to Walsh IT Group’s IT professionals at (832) 295-1445.